The Forrest General Store Café is a haven for locals and tourists alike, offering delicious gourmet produce and service with a smile – ensuring you get the best taste of Forrest every time you visit! If you want traditional, country-style hospitality, homemade comfort food and a modern approach to customer service, the Forrest General Store has you covered. We’re popular as one of the best places to eat in Forrest – and once you step into our café, you’ll instantly see why. 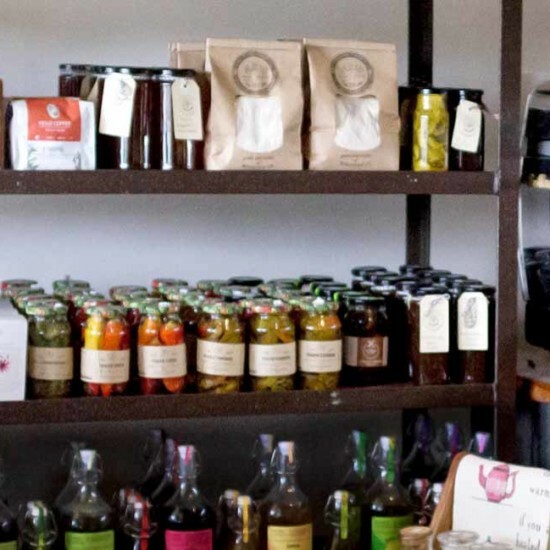 We source the best local produce, including tasty meats, cheeses, olives, shiitake mushrooms, chutneys and jams, ice-cream, chocolate and coffee from the Otway Ranges and surrounding areas. Forrest is famous for its high-quality seasonal delicacies, and we’ve taken the time to collect the best of the best for you to enjoy at the Forrest General Store. Whether you’re stopping in on your way to the Great Ocean Road, coming from Melbourne or working nearby, drop in to our café to sate your appetite. All our produce is available to purchase in-store, at a reasonable price, and our internationally trained chef loves whipping up special treats. Think homemade pastries, sandwiches, wraps, casseroles, soups, cakes, slices and biscuits – and of course our famous sourdough is available from Friday through to Sunday. Ask our friendly staff about vegetarian, vegan and gluten-free options. Take the worry out of organising your next event or function and let our Forrest catering services do the hard work for you. From birthdays to school trips, corporate lunches, social gatherings and private functions, our chef uses the best locally sourced ingredients to create specialty homemade catering menus. Please contact Forrest General Store for more information about food to order. Enjoy an energy-boosting snack or meal in our cosy café, and ask us about the best things to see, do and eat in Forrest. We’re always happy to provide our personal recommendations, and offer complimentary Otway Ranges tourism information, maps and brochures. Take a look at our Forrest café news and tourist information to see what’s happening in Forrest.